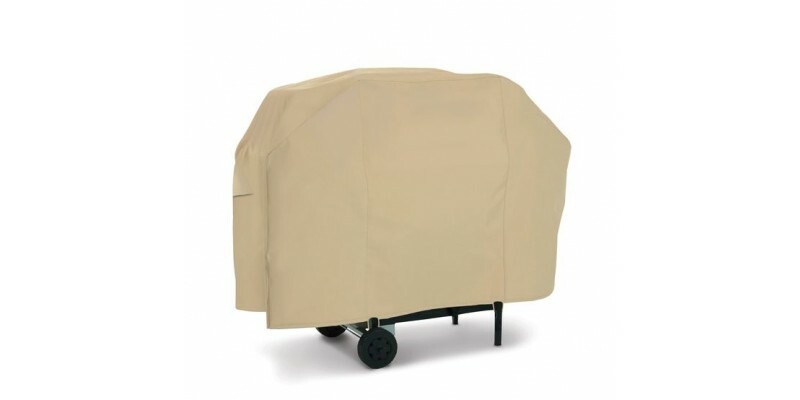 Heavy-duty fabric cover keeps cart barbecues protected and ready to use Terrazzo Collection. Rain-Titeﾙ fabric protects against rain, snow, sun and dirt, and won't crack in cold weather. Air vents reduce inside condensation and wind lofting. StayOnﾙ elastic loops fit over legs to keep cover on during high winds and breezy conditions. Elastic cord in bottom hem for a fast and custom fit. One year warranty.